How passionate about tech are you really? AndroidPIT is a website that specializes in high-tech products. I've had a question running in my head for a while: are our readers as interested in technology as we are? I often wonder what you’re all like, our dear readers, and why so many of you read our articles. I’m not complaining (quite the contrary) but I just wonder because you probably all fall into different categories. I wrote this article (with a touch of comic relief) to show how "readers passionate about high-tech" can be perceived. When you think of technology, you must always take several factors into consideration. I don’t want to play on stereotypes but, generally, people of a certain age have no interest in our passion. When I asked people over 55 what they thought of AndroidPIT, the responses ranged from “it’s too complicated” to “I’m not interested in that”. If they aren’t going on about the complexity of technology, they are constantly questioning its usefulness on a personal level. Of course, this type of opinion also exists among younger generations. I know several people who are strongly opposed to smartphone technology and, as you can imagine, they certainly don’t read articles about tech on our website. They don’t understand our interest in technology, they can't relate to why we like to write or why you, dear reader, may like to read (or perhaps you also write) about these topics. So why do these non-techies come to our website at all? To please their kids who are writing about tech and to correct their spelling mistakes (but there are never any spelling mistakes, obviously). But on a more serious note, they generally come to us via search engines when they seek to understand how to use their first smartphone. Some of you are real tech experts either through passion or profession. You can name all the Qualcomm processors off the top of your head and you can specify each of their frequencies. You come to AndroidPIT to read our new articles, whether these are about phones or specific technologies. Sometimes experts help our wider community with their knowledge. 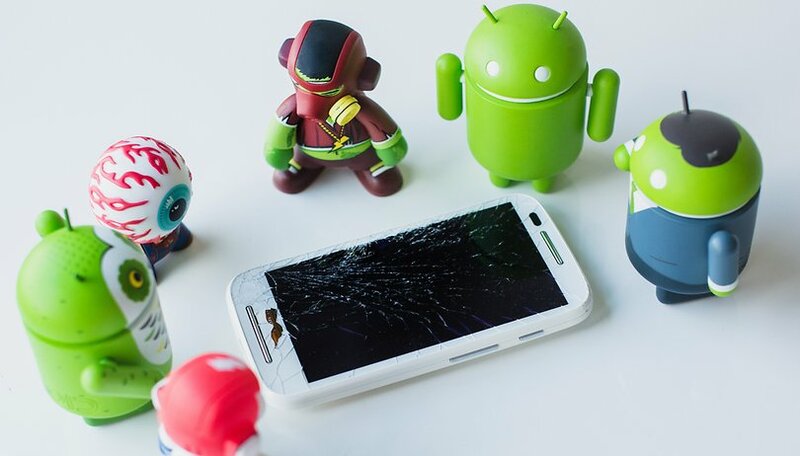 They are considered by the community as accomplished geeks, capable of answering any question about Android. For us, writers, it’s about quality control because, if we make the slightest mistake with our content, we can be sure that the experts will see it. As the name indicates, those among you who fall under the category of 'apprentice' come to our website to learn and/or find specific information. You arrive on our website via Google or simply you land on our homepage and search around on a subject that interests you, and you are interested in the details of the article. The apprentice is obviously a lover of tutorials. Apprentices don't comment frequently on our website but they sometimes ask for help. They discover a new device or an app and get stuck doing something they want with it, so they ask their questions. If they are polite, they generally receive a quick response from the community (especially from the experts mentioned above). This type of user shows us that we have a diverse audience that is eager to learn (and that makes us feel useful). This individual is quite complicated to pin down but, unfortunately, we find them on all online articles. Whether they are interested in the subject or not, they always come to the article to contribute useless information, for example “you’re ugly” or often slightly more eloquent insults like “you don’t know what you’re talking about” - but they don't justify their comments. On the other hand, they do know how to respond to those who have the energy to argue with them (wasted energy, as it were) by stooping to their level. The number of trolls is proportional to the popularity of the article: the more an article is read, the higher the chance of finding trolls. Fun fact: a troll generally doesn’t read the article, they don’t like to waste their time doing anything useful. Generally, they are not welcomed by the rest of the community, which is their prime objective and which gives them the motivation to continue with their activities. We must distinguish this individual from trolls because, contrary to trolls, self-proclaimed experts learn about the subject and they don’t contribute to create conflict, but rather to prove that they are right. They too are active in the comment sections (but, unlike trolls, they read the article in detail). Generally, they give their opinions in the comments, often taking part in debates incessantly until they prove that they are right. There are several variants of these guys: there are those who only read the article title and participate in the comments to give their opinion. They only realize afterwards that their opinions have already been raised in the article, so they inconspicuously (or so they think) edit their comments. You guys represent the vast majority of AndroidPIT’s readers. You are simply interested in the topics. You frequently come from the homepage, only read the articles that interest you and only participate in the comments if you want to. Among the curious ones, we find users of particular manufacturers (Samsung fans, for example) who want to know all there is to know about their manufacturer/their favorite smartphone, but also, we find readers of more ‘social’ articles that allow one to take a little break from all the tech stuff. That’s how I see our high-tech readers. Have I forgotten a category? It’s very possible, so don’t hesitate to let me know in the comments. You can participate in the survey below to let us know what category you think you fall into. What kind of high-tech reader are you? Technology has been fantastically evolved, and IT has grown exponentially every year. That's why blogs for information and presentation of the latest technologies are useful, and AndroidPIT is one of my favorites. Just over ten years ago I was in a very bad vehicle collision, leaving me virtually bed ridden (I'm 46 now), and with technologies rise over the same period, ie; becoming more developed, accessible, also cheaper to access, it has made mine and assume many other's life's more bearable from easy access to the outside world, to ordering groceries. If anyone recalls the the first iPhone was only available in 2008 and ipad 2012,and then there was an explosion of tech and services with competitive Internet plans. I think like everything else technology is taken for granted already, however, I still bless the day I got Internet and held that first device in my hand for the first time,from being out and busy at work everyday, to being lonely stuck in bed and at home on my own lonely at the end of my tether. I absolutely love Android because it is such a simple solution to what Windows (used) to be, this may sound stupid, well it does really, but it may have saved me from going into further decline or worse, to even helping others on the platform Drippler Techwhizz as a 'Whizz' and helping others, which is a pretty dramatic turnaround I think. I would add another category if I may... Not sure what you want to call the person(s) as such, but maybe a type of antagonist? Fighting for the injustice of certain manufacturers and their sometimes illogical or "wrong" way of doing certain things when it comes to firmware updates or how they treat their clients etc. Don't know how to put it in words to be honest. Because I don't really see such person as a troll of some kind, but rather someone that informs the public that aren't a expert(s)? Just for the record, I'm 68 and have rooted my phones for a few years - beginning with the Samsung Infuse. I enjoy your articles. I'm 55, and have been a PC-geek-guru for 25+ yrs.... But only recently (7 months ago!) got a smartphone, so now I have a whole new world of tech to learn, and play in! Stereotypes are crap -- I got a PC in 1989 and set about learning DOS and how to write elegant and involved batch files, to escape the tedium of being a stay-at-home mom with a newborn baby, and to save myself from soap operas or Harlequin novels. PCs, BBSs, and now the internet and smartphones, are so much more interesting and fun! im not really any of those. i just come here to stay informed about android.